Living… with a pathological fear of flying. Ted, a former fighter pilot, can’t bear to be aboard an aircraft after being traumatized in a far-off war. Visiting… a Boeing 707. 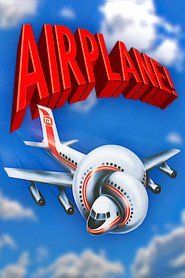 Ted realizes that, in order to be happy and get back the love of his life, Elaine, he needs to be able to conquer his fear of flying. He boards a flight from Los Angeles to Chicago on which Elaine is an airhostess, and tries to win her back. Profession… taxi driver. Ted has been incapable of holding down a steady job ever since the war. Challenge… facing his fears and managing to land the plane. After the pilots fall ill due to food poisoning, Ted finds himself as the only person on board capable of flying and landing the plane. He needs to confront his fear of flying and pull himself together in order to save the day. Personality… romantic, sentimental, and emotional. Ted is one of those men who, in the words of his former commanding officer, “just felt too much inside.” Even little old ladies get a bit bored listening to Ted ramble on about his love for Elaine. Ted Striker's popularity ranking on CharacTour is #4303 out of 5,000+ characters. See our top-ranked characters and read their profiles. 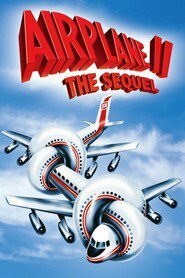 The hero of an unlikely airplane disaster must overcome his own inadequacies, improbable accidents and his former girlfriend in order to save a space shuttle from destruction in this spoof sequel of the disaster parody Airplane! Still craving for the love of his life, ex-Air Force pilot Ted Striker follows Elaine onto the flight that she is working on as cabin crew. Elaine doesn't want to be with Ted anymore, but when the crew and passengers fall ill from food poisoning, Ted might be the only one who can save them.